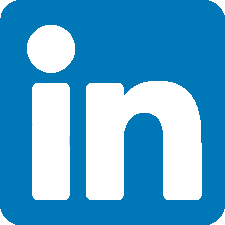 Project Description: The LANL Indoor Firing Range is an 18,100 sf CMU building constructed exclusively for the Los Alamos National Laboratory Protective Force. The range facility consists of a 20 position tactical firing range with a wide bullet trap, automated target turning system, and control booth. The facility also includes a weapons storage room, cleaning room, classrooms, document and range storage rooms, and restroom facilities. 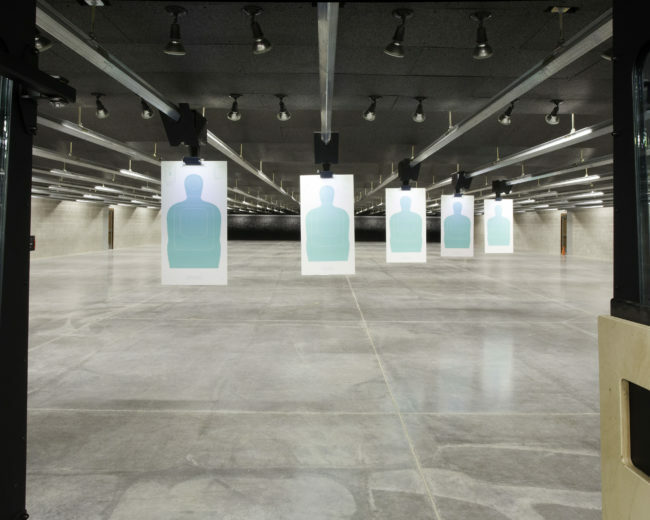 Included in the 18,000 sf is a 1,587sf administration area and 16,563sf range building containing 4’ wide, 50 yard long individual firing lanes. Innovations were developed to combat key construction activities during the frigid winter months. An estimated 90% of the earthwork, concrete and CMU operations had to be performed and protected in sub-freezing temperatures. This included tenting of the areas under construction to allow for the carpenters to work safely, blanketing the foundation concrete to prevent the slab from freezing and cracking, and schedule modifications to accommodate delays caused by digging into dirt with a similar consistency to ice during November-February. The accommodations required for installation of a running man target system, associated controls, pursuit target, granulated rubber berm trap, ceiling system including overhead ballistic steel baffles, shooter booths and enclosure guards aren’t typical to most construction projects. 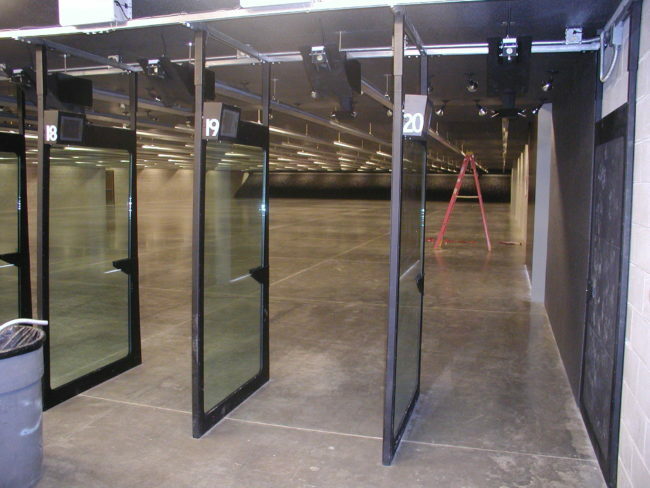 The enclosed facility required heightened HVAC specifications to comply with clean air needs during sessions where firearms were live.